Compressor Oil condition monitoring and analysis kits measure oil ISO cleanliness, moisture contamination, Remaining Useful Life (RULER) and MPC Varnish Potential of the oil sample. “The earliest sign of oil degradation is detected with voltammetry (RULER method) since the antioxidants are the most reactive species”. “The most important test to predict varnish formation is the Membrane Patch Colorimetry test, which measures the color of the sub-micron oil degradation products, as well as particle counting”. Efficient compressor maintenance can be achieved with CTG’s Compressor Oil Analysis Kits. 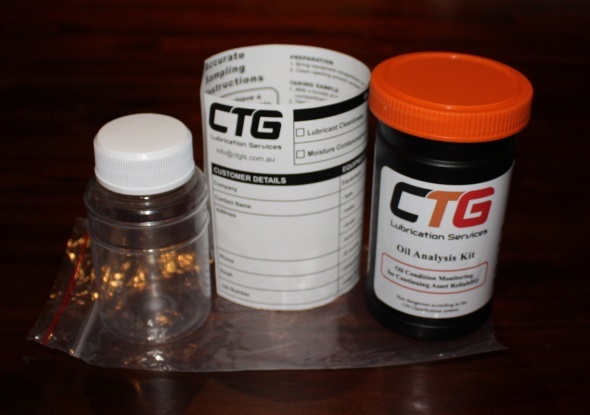 The Compressor Oil Analysis Kit goes beyond routine industrial oil analysis to include remaining useful life (RULER) and MPC Varnish Potential (membrane patch colorimetry). Scheduled compressor oil condition monitoring and analysis detects the early warning signs of mechanical, operator and environmental events to enable corrective action be taken before any reduction to turbine reliability, availability and lifespan occur. 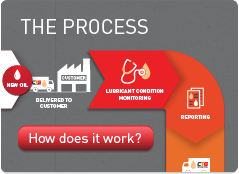 Oil condition monitoring ensures that decisions on scheduling oil changes, filtration system effectiveness, compressor varnish and other maintenance tasks are based on fact and are not purely time dependant like the number of hours, days or years of operation.